Happy new year, I hope 2019 will be a good one for you and your family. 1990 is the year I started as a student teacher in radiotherapy, so this year marks my 30th year in teaching about cancer. I started O'Halloran Consultancy in 2002, 17 years ago, to help those working in the cancer field to access convenient and relevant cancer education and training. There are still many people employed in cancer services without a background in cancer or even science. I have made it my aim to demystify cancer and allow everyone to know more about this disease. I just wanted to give you some positive feedback about the above course that I have just attended. I felt it was an excellent course and feel I have learnt so much from it. 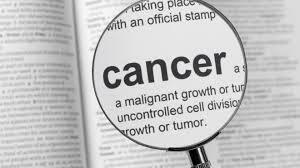 Although I had a basic knowledge of cancer, I now know so much more on the physiology of cancer cells, the grading systems and the possible treatments. David O’Halloran pitched the presentation at just the right level so that it was never too simple and boring nor too complicated and overwhelming. He was very knowledgeable about the subject and was able to answer everyone’s questions and didn’t mind going off on a tangent to answer queries that were raised. I would thoroughly recommend this training to anyone who wants to deepen their knowledge of cancer and its treatments and I am sure it will help me in my job in the future. The study day was excellent, well presented by a very knowledgeable facilitator. He able to get information across in an easy and understandable way . David was able to pack lots of information into the day I would recommend the study day to anyone . I found this study day extremely informative and beneficial even though over the last 16 years of my nursing career I have looked after patients with various cancer diagnosis this session was still informative and relevant to my clinical practice. I feel all nurses at the hospice should have the opportunity to attend this session.The gentlemen running the session made the day interesting and enjoyable.